2014 Yamaha Raider, 2014 Yamaha Raider has been customized with bomber side covers. Make Tejas Motorsports your Yamaha dealer in the Houston Texas area. Call the Sales Dept. for more info. 281-843-8591 2014 Yamaha® Rider If you want totally custom but would rather ride then wrench, have a look at the Raider by Star® Motorcycles. It is truly the ultimate marriage of cruiser styling and total performance. 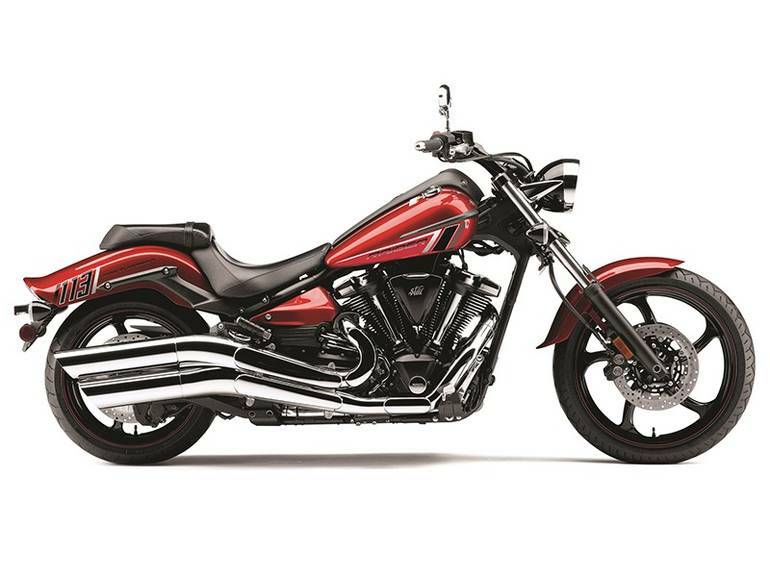 Its 113-cubic-inch fuel-injected V-twin engine takes a back seat to no V-twin when it comes to power and reliability. And the rest of the chopper-inspired Raider is pure Star® quality, designed and engineered by the world s best bike builders. Features The Raider was inspired by the custom chopper movement, but since it s a Star, it had to also handle, stop and go. A 6-degree yoke angle the first ever on a Star® Motorcycle makes it possible to achieve that custom look as well as neutral handling and straight-line cruisability: 33-degree rake plus 6 degrees yoke angle gives total rake of 39 degrees and 102mm of trail. Custom 5-spoke wheels carry a 120/70-21-inch bias tire up front, and a wide, 210/40-18 radial out back the tallest and widest ever on a Star®. Estimated 42 mpg* means this cruiser can go the distance between fill-ups. Left-thumb operated high-beam switch, and right-thumb activated accessory driving light switch for great visibility. Jewel-like fit and finish, and Star® quality paint, chrome and attention to detail are evident all over the Raider. Cool, tank-mounted instrumentation complements the custom look, and contains analog speedometer and fuel gauge, along with twin digital tripmeters, odometer and self-diagnostics. Bright multireflector headlight, LED taillight and amber turn signals behind clear lenses give a custom look. 02 sensor and three-way catalyst reduce emissions. All Yamaha pictures are kind of Yamaha HD motorcycles picture was taken, including motor fuel gauge, engine, engine mounts, tires, fuel tank, the car handles, lights and so on, 2014 Yamaha Raider full-screen viewing,2014 Yamaha Motorcycles today Price: $10,999 .